Growing up practically everyone dreamed of living in a treehouse. If you weren't trying to build one you were nagging your parents to build you a replica of the ones you saw in shows like The Simpsons. 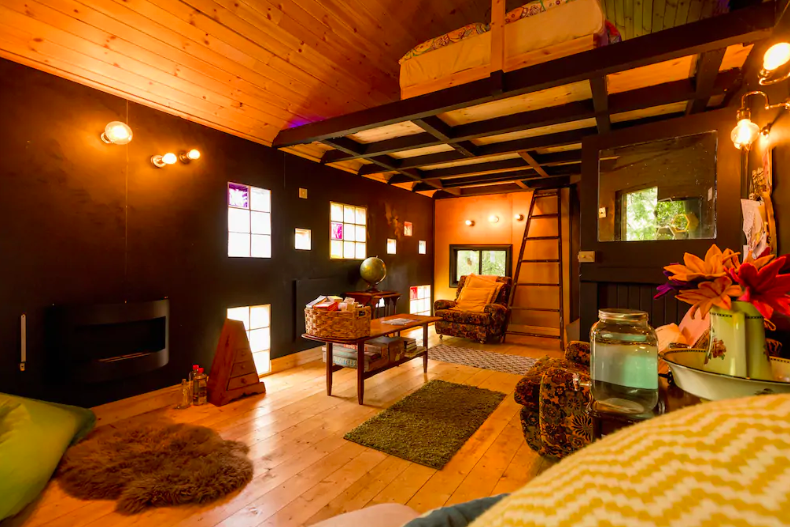 With this Airbnb Treehouse in Kilkenny that forgotten childhood dream could be a reality. At The Braille House, you can wake up to the sound of birds singing in a romantic and quaint treehouse in the heart of the countryside. A ten-minute walk from the city center of Kilkenny, which anyone who has visited before knows is a rare weekend away, the treehouse is situated at the back of the owners garden with trees making it a private and secluded experience. Kilkenny is the ideal Irish location for a weekend getaway, it has a great selection of bars, cafes and restaurants to suit all tastes. The treehouse includes a bathroom pod which hosts a shower and a bath and to enter the treehouse you have to climb a wooden ladder. As you can see from the images, the interior is quirky, with unique artwork, stylish furniture, cosy rugs and a wall of coloured blocks. Not only is the interior of the treehouse a dream, but two radiators and a bioethanol fireplace make this spot a cosy retreat like no other. The getaway which started out as an idea on the back of a napkin has received a 5-star rating from 95% of recent guests. This unique accommodation would be perfect for a weekend away for a couple or for two friends wanting to experience the magic of Kilkenny and fulfil a childhood dream. This rural retreat is only €100 per night, so that's just €50 split between you and your other half. 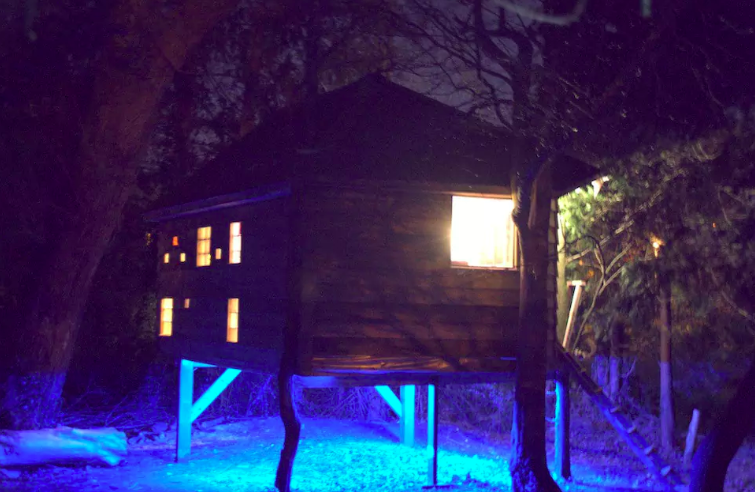 To book the treehouse for a night click here.